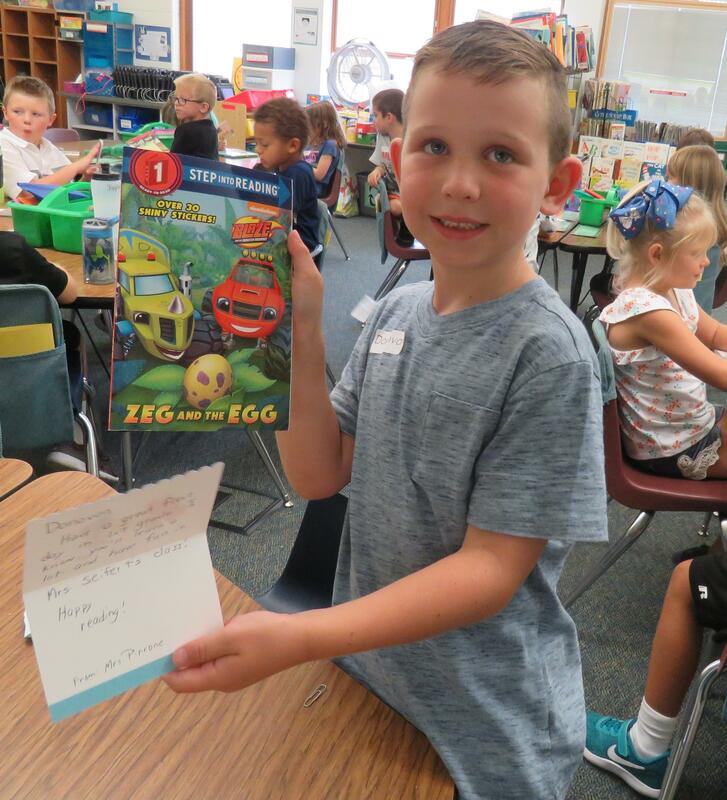 David Dettmann's first day of kindergarten came with a special surprise from someone he didn't even know. In fact, every student in Karen Young's kindergarten class got a special surprise from strangers. 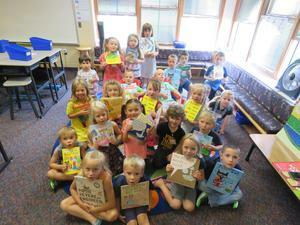 So did all the students in Cathy Leaf's kindergarten class and Karen Seifert's first-grade class. "I put out a Facebook post that I would like to have people from the community sponsor one of my students and provide a book and a special note for them for the first day of school," said Leaf. "In less than six hours, I had sponsors for every student." Community members signed up for the project without knowing the students and without the students knowing them. "That's what makes it special," said Seifert. "This is someone else who is showing these kids support." 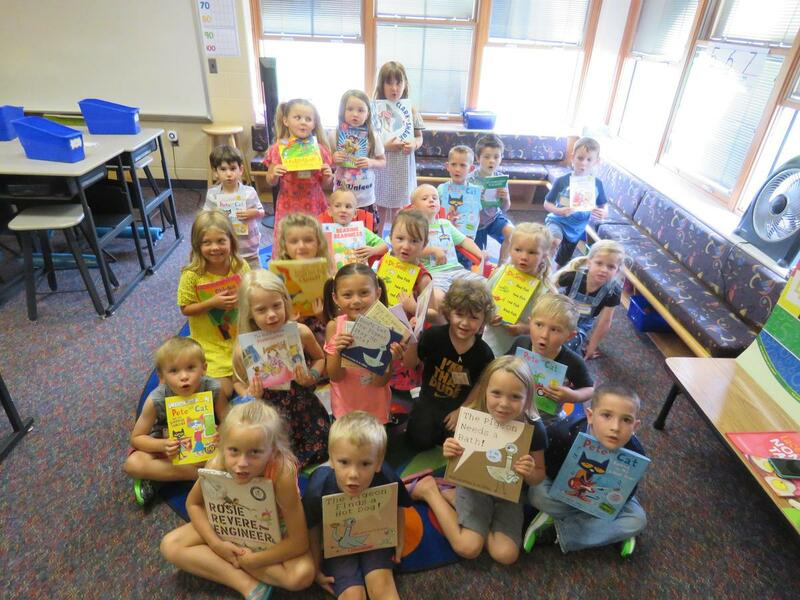 As Young called off each name in her classroom, she found the book and note delivered especially for that student. The notes included words of encouragement and support and shared the excitement of the first day of school with the young students. "I love it," said Dettmann as he was handed his very own copy of the children's book "Chicka Chicka Boom Boom" and couldn't wait to flip through the pages. "I like all the bright pictures." Zaydee Brautigam opened a letter printed on Mickey Mouse stationary. It was tucked inside a brand new Clifford book waiting at her seat. 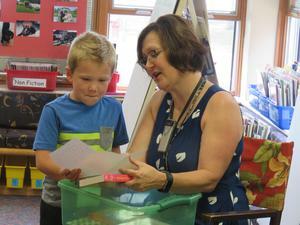 "I know you're going to love Mrs. Seifert," the letter said. "I know because I had her as my teacher many years ago and now I'm in college." Some of the notes and books came from former students. Some came from friends and family members of the teachers. And others came simply from people in the community who wanted to show their support for TK students. All the books were different too. 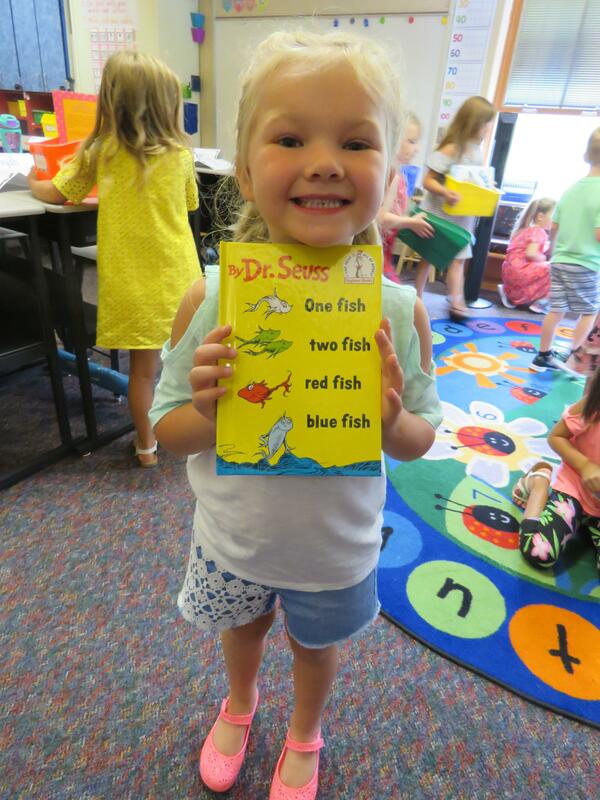 Some sponsors chose favorite books they loved to read themselves when they were in first grade or kindergarten. Others chose books parents could read to the children. "It's really simple. I just wanted to connect the community with our kids and show our students there are more people who care about them than just Mom and Dad and their teachers," said Leaf. "The community cares about them too." Leaf admitted she saw the idea done by another teacher outside TK. She couldn't wait to try it. "It was unbelievable how fast I had all the sponsors signed up and how quickly they all responded with books and notes for their students," said Leaf. She was so impressed by the response, she shared the idea with other teachers and Seifert and Young decided to give it a try as well. Each said they had nearly equally quick responses. Young's class sat eagerly on the rug while she explained the surprise to her wide-eyed students who had already been through a morning of anxiety and anticipation with their first day of school. "There are people out in the world who wanted to give each of you something special. They think you are super important and they don't even know you," said Young. Gabriella Wilson was all smiles when Mrs. Young handed her "Birdie's First Day of School" with the special note inside. She and a new-found friend in the classroom looked through the pictures together. The teachers said they hope to continue the connection with special notes and possibly even another book for the students at special times of the year. "We just want these kids to know there are people who care about them - people they don't even know who are thinking about them and wishing good things for them," said Seifert. "All our kids need to know they are special."